What if the Seven Deadly Sins were footballers? 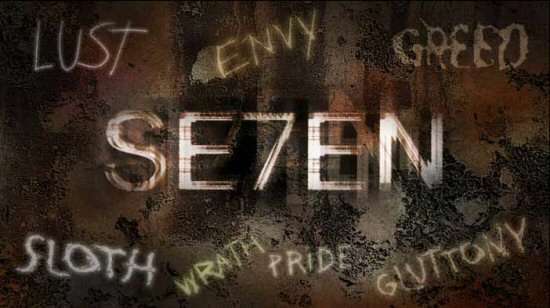 Lust, Gluttony, Greed, Sloth, Wrath, Envy, and Pride – the seven deadly sins of mankind. Day in, and day out, we see people guilty of these – we ourselves often fall prey to them. So in the wide, crazy, world of football. How hard is it going to be find a list of footballers that match each of them? Not very, is the answer. Yeah! that hand ain’t being shaken! When the Good Book says Love thy Neighbour, it doesn't mean you go around lusting after thy Neighbour's wife! Someone forgot to tell that to John Terry, though! There is a reason Wayne Bridge didn't shake hands with his former teammate and captain when he returned to Stamford Bridge and it has nothing to do with Terry's personal hygiene. While teammates and defensive partners to boot (Terry at LCB and Bridge at LB), Terry got it down with Bridge's girlfriend of the time – a French lingerie model named Vanessa Perroncel. He also got her pregnant. To make things even worse, Veronica and Terry's wife Toni were good friends at the time! There have also been allegations that Terry had an affair with an unnamed model while Toni was pregnant with the second of their kids – as if all this could get any more sordid.